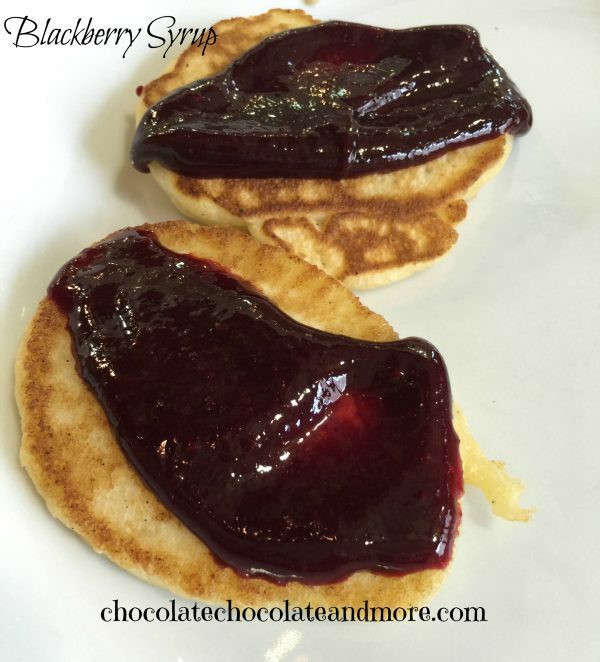 Blackberry Syrup - Chocolate Chocolate and More! 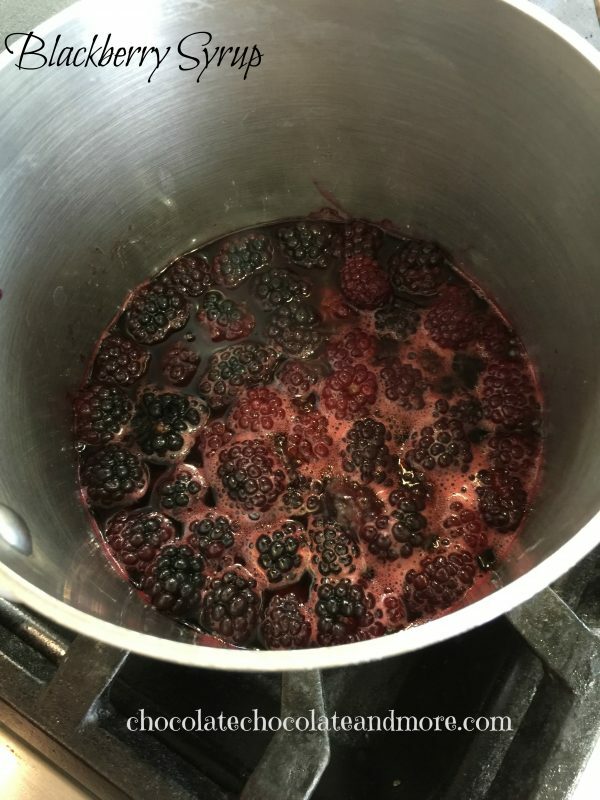 Blackberry syrup is as simple to make as five ingredients and ten minutes of your time. The end result is a delicious topping you can put on just about anything! Spring is here, and that means it is berry season. 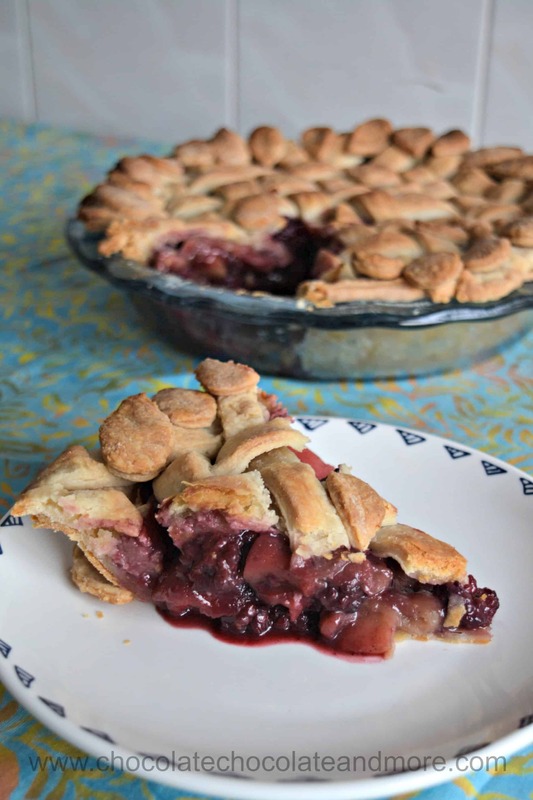 One of my favorite things to do when I was a child was to go to the local berry farm and pick a nice big basket of fresh berries (and maybe sample one or a few as I went…), and when we got home, my mom would put into pies and jams. 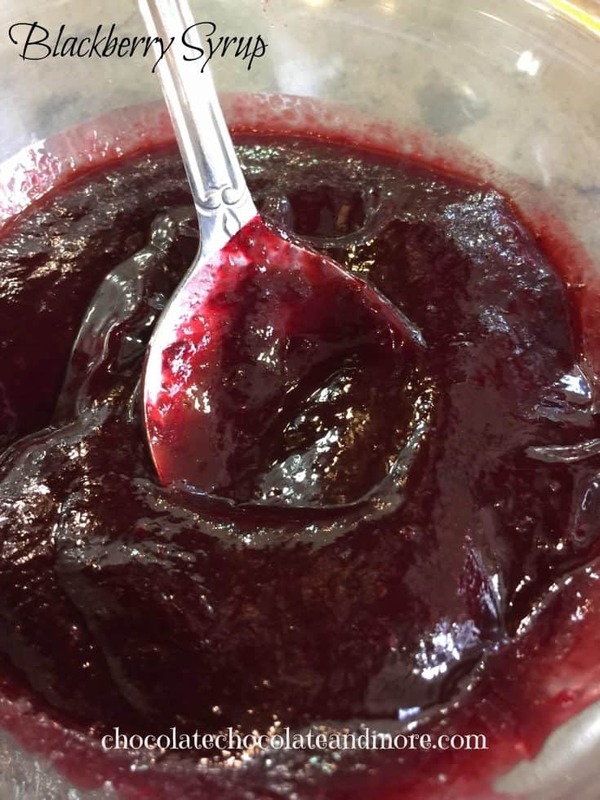 A good berry syrup isn’t just for your breakfast pancake or french toast but can be used to top vanilla ice cream, a nice custard, or pretty much anything you can think of. Making a fresh berry syrup is easy — and tastes better than anything you can grab off the shelf of your local grocery store. This recipe was originally created for blackberries, but you can replace the blackberries with pretty much any kind of berry you might want to (in this case we actually added some raspberries to the blackberries for a little more flavor). All you need is a medium saucepan, a blender (hand blender is easier, but any blender will do), a fine mesh sieve (or drainer if you don’t have a sieve…), and about 20 minutes time. When you are finished, you can serve warm or chilled, depending on what you are putting it on. You can also make it thicker – like a compote – or thinner in consistency — it’s all up to you!